Fourth and Fourteenth: J. Edgar Hoover, LBJ, and George Hamilton, together again. When the FBI balked at releasing the memo -- authored by FBI Deputy Director Cartha DeLoach, who helmed the investigations into the most salacious crimes and charges -- without redactions, Samahon, aided by a plethora of students sued. Last week, United States District Judge Eduardo Robreno, who sits in Philadelphia, ruled in favor of Samahon. What the memo points to, however, is far more interesting for what Profession Samahon had not expected to find, than what it said about Fortas's possible gay interlude. Fortas had been a confidant and counsel to LBJ, who appointed him to the high court in 1965. In 1966, LBJ's daughter began dating the actor George Hamilton. LBJ was not happy, and he asked Fortas and J. Edgar Hoover to dig up dirt on him. While Hamilton has since admitted to a lengthy string of sexual relationships with various well known women (and claims to have lost his virginity to his step-mother when he was 12), the FBI and Fortas apparently failed to find much of anything to report, although they suggested that Hamilton may himself have been gay. While there was little evidence to support the claim, it was the smear du jour. The authors note that the White House was in the grip of "gay paranoia," and as Hamilton said in his autobiography, Don't Mind If I Do, "Gay was the dirtiest word anyone could have used in and around the Johnson White House." I suppose it shouldn't be surprising that the White House would treat the FBI as its private police force, available 24/7 for all sorts of personal jobs. 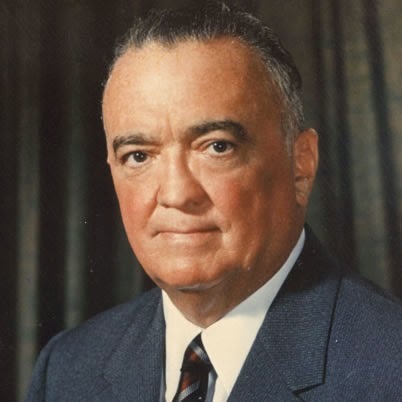 After all, Hoover spied on everyone and then used the info to blackmail just about everyone. But still, this is particularly unseemly. [LBJ's actions were a] potentially illegal use of executive power. . . .This case is about the ability of the federal government to pry into the private lives of U.S. citizens with virtual impunity. . . .The file can be read as an effort by the FBI to uncover embarrassing details about a private citizen as a personal favor to the president. I should take a moment to ponder why Obama's White House fought this issue. It would have been simple to release the document without fanfare, as nothing in this story would otherwise have pointed to today's administration. It also would have been the correct thing to do, legally and morally. It is sad to see this President -- who has disappointed me in so many ways and on so many levels that I stopped grieving years ago, and moved on to acceptance -- reflexively defend this sort of reprehensible conduct by both his predecessor and the FBI. As for Fortas's alleged dalliance with a male prostitute, DeLoach claimed in his memo that he confronted Fortas, who denied the claim. Was there any truth to it? Did the FBI deny it later because Fortas played ball? This is great stuff for all sorts of reasons. I'm not a Supreme Court historian, so I have no idea why Fortas quit after four years. He certainly didn't retire from the law, and worked for many more years. But it's fair to wonder whether his arm was being twisted, once LBJ had left the Oval Office. And the George Hamilton angle is fun too. Of course, it's always nice to further confirm that, yes, the FBI really was a profoundly sleazy bunch, an organization with no moral compass, no shame, no sense of right and wrong. It's easy to say nothing much has changed, and that's not necessarily incorrect. But Hoover's regime was particularly odious. Whether yesterday's federal law enforcement agencies were more or less abusive of the Constitution and basic concepts of civil liberties than our agencies of today is a good question. But if we're talking about fascist style points, Hoover wins hands down. So if you like celebrity gossip, political intrigue, and historical drama, this article is spot on.